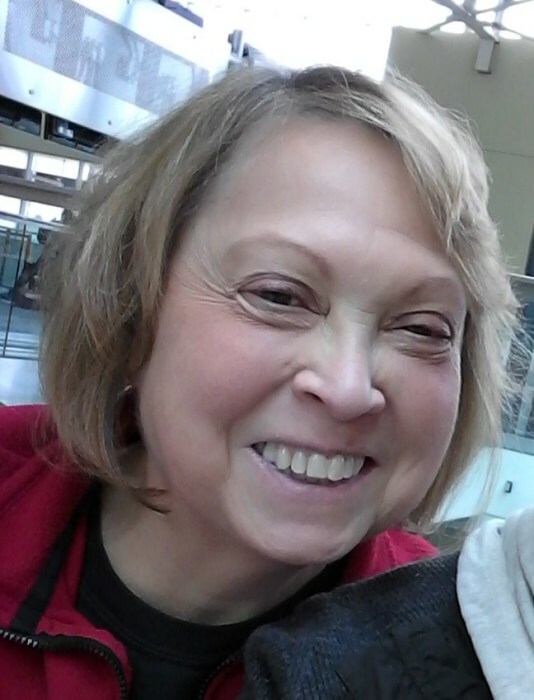 Jeannette Neumann Bryson, 60, passed away Friday, April 6, 2018 at Good Samaritan Hospital. She was born April 10, 1957 to Ray & Carol Neumann (deceased) in Cincinnati, OH. She is survived by her husband of 35 years, David Bryson, twin sons Jakob and Conner & their dog, Riley. She is also survived by her sister, Mary Kay (Jeff) Crotty of Sarasota, FL, brother Richard (Kathy) Neumann of Crescent Springs, KY, brother Tom (Stephanie) Neumann of Delhi, OH, brothers-in-law Gary (Jackie) Bryson of Cincinnati, OH and Steve Bryson of Loveland, OH; many, many nieces & nephews, great-nieces & nephews, cousins, friends, and co-workers. Jeannette was preceded in death by her parents, her mother-in-law Jean Bryson, her father-in-law Alton Bryson, and many aunts & uncles who loved her dearly! Jeannette was employed for 31 years at Mt. Saint Joseph University in Delhi, OH and was the 2011 recipient of the Elizabeth Seton Mission Award. She was a member of Women in Communication, and received Communicator of the Year Award (1994). Jeannette never knew a stranger. If she knew you, she truly cared about you. Despite her heart issues, she had the biggest heart and filled every life around her with love & joy. She was a very devoted wife, mother, and Catholic. She attended Seton High School (Class of 1975), University of Cincinnati (Class of 1982), and member of St. John the Baptist Catholic Church, Dry Ridge. Visitation will be held on Friday, April 13th from 5 to 8 PM at Paul R. Young Funeral Home, 7345 Hamilton Ave., Mt. Healthy, OH 45231. Mass of Christian Burial will be held on Saturday, April 14th at 10 AM at St. John the Baptist Catholic Church, 5361 Dry Ridge Rd., Cincinnati, OH 45252. Interment at Arlington Memorial Gardens. In lieu of flowers, memorial donations can be made to Seton High School, 3901 Glenway Ave., Cincinnati, OH 45205 and to Mt. Saint Joseph University, 5701 Delhi Ave., Cincinnati, OH 45233 in memory of Jeannette Bryson. Online condolences can be made at www.paulyoungfuneralhome.com .